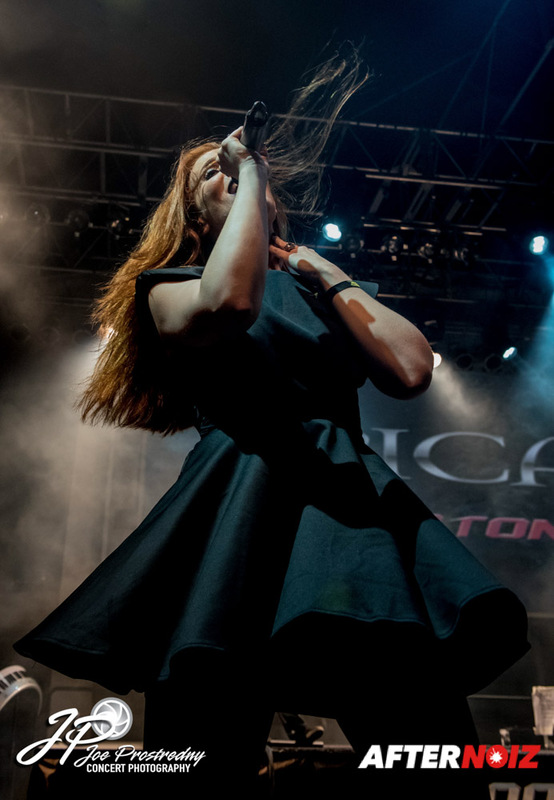 Symphonic metal powerhouse Epica has been a fixture in the metal scene for well over a decade. 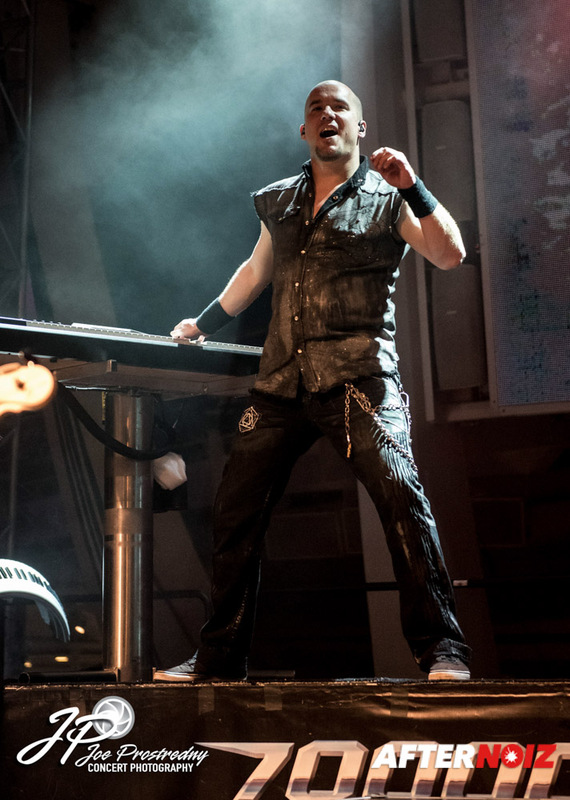 They are currently still riding high on the success of their 2014 album, “The Quantum Enigma”. 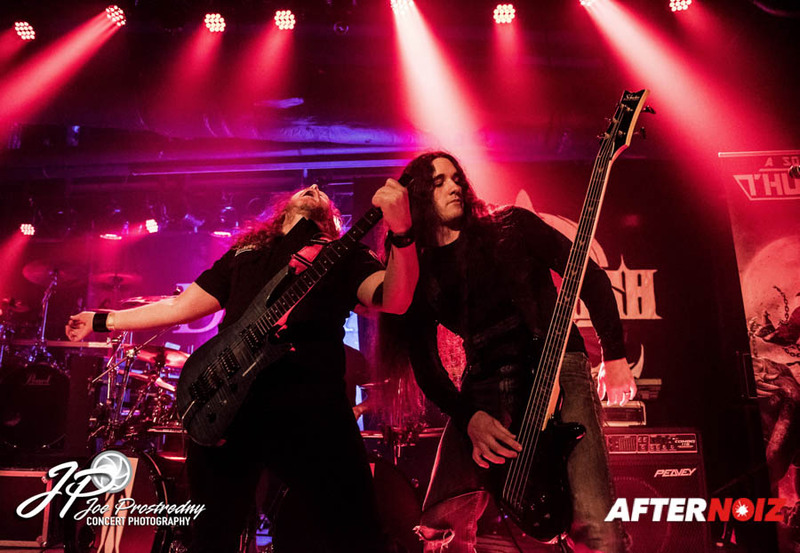 Having recently wrapped up their North American tour, they are planning to head back to the studio to complete their new album which is due out later this year. 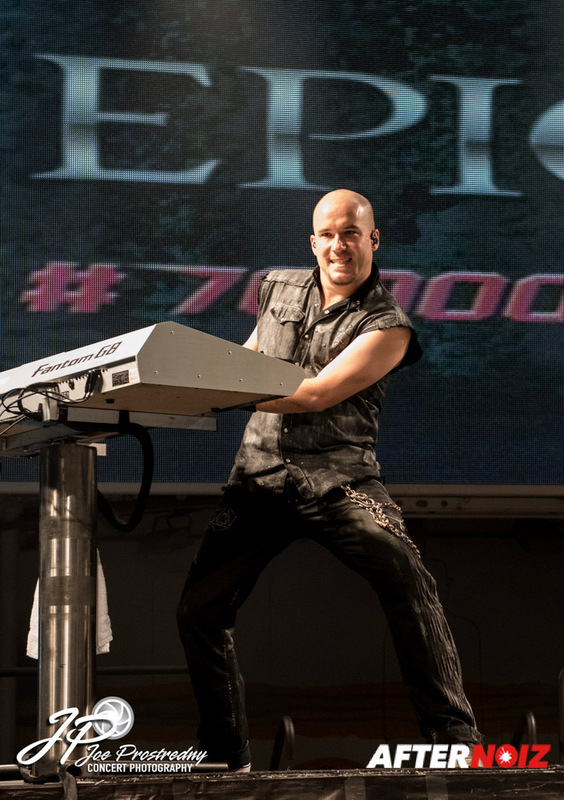 Between all of the shows, meet and greets, and other mayhem on this year’s 70000 Tons of Metal cruise, I still managed to find time to catch an interview with Epica’s keyboardist (Coen Janssen) and drummer (Arien van Weesenbeek). 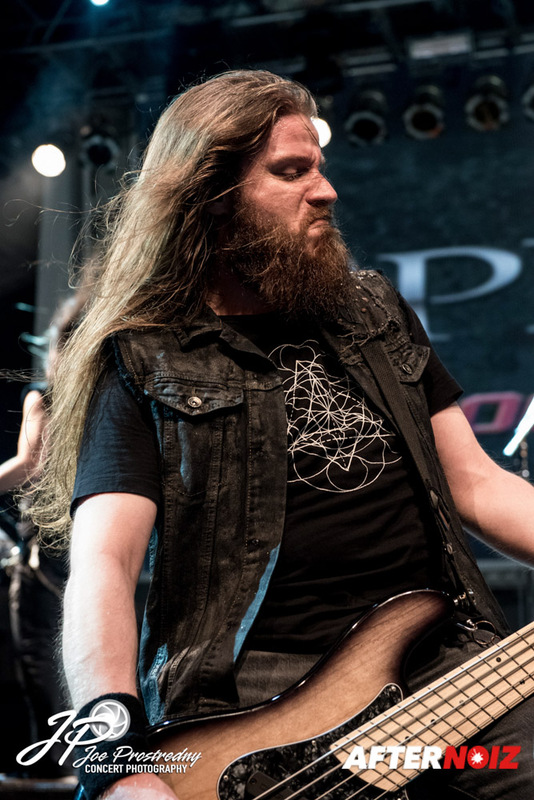 We had a chance to discuss the recent tour, their upcoming album, and what it’s like to play a festival on the open ocean! 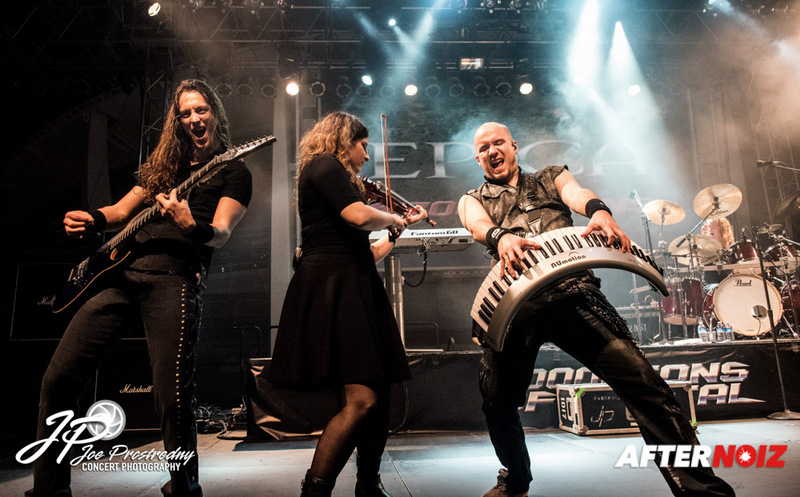 Afternoiz: This is Joe Prostredny with Afternoiz and I’m here on the massive 70000 Tons of Metal cruise with Coen & Arien of the phenomenal symphonic metal band, Epica! How are you guys doing? Coen: Actually, I want to change that to awesome (laughs)! Afternoiz: OK!… Well, thank you very much for talking with us this afternoon! 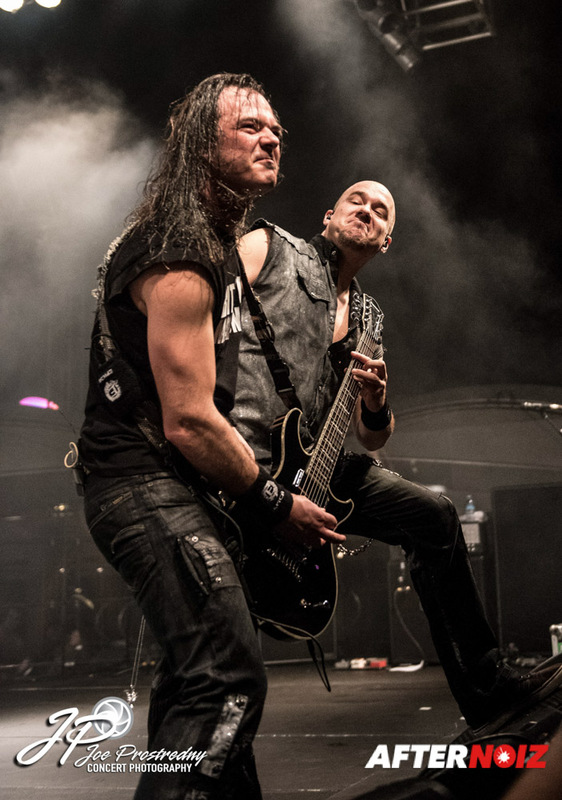 So here we are, on the high seas, on 70000 Tons of Metal! Are you guys having any fun? Coen: Actually I have, yeah. It’s been great so far. Arien: (laughs) ..yet!… so I’m really proud of myself! I’m thinking after the show tonight it’s gonna be “euphorious” and then drinking way too much! Afternoiz: Do they pay for your drinks, or…? Coen: We got some credit but it’s all gone already (laughs). Coen: (laughs) Well you know with the prices so high…. 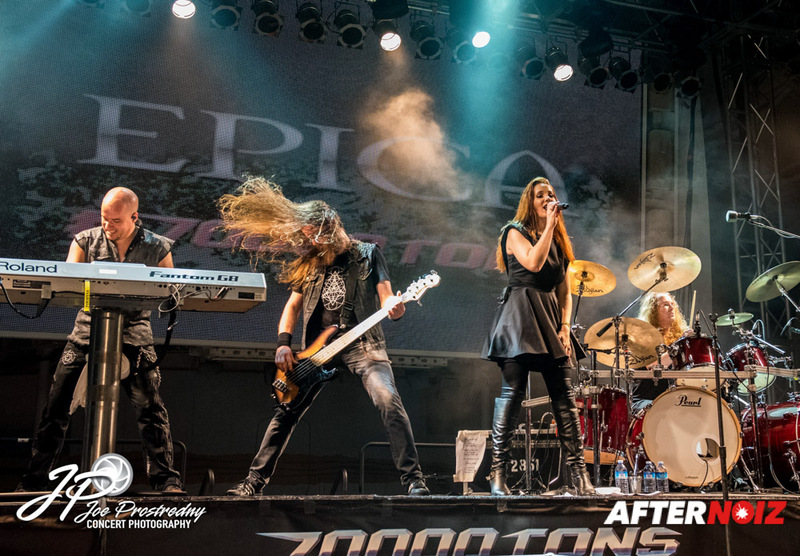 Afternoiz: So this isn’t Epica’s first time on 70000 Tons of Metal. You’ve been here before… what brings you back? Coen: Well I haven’t been here but I’ve heard the good stories. Arien: Yeah. It’s beautiful, great weather, excellent, it’s a very nice concept. Afternoiz: Is it overwhelming at all being on boat with your fans freely mingling? Do you guys get any peace, or…? Coen: We have our rooms. Arien: Yesterday, maybe, I had to get used to it a little bit again, but it’s going well. Coen: Yeah, if you go to a normal festival, you always take a walk down through the field and if people recognize you they say “hi” and it’s fine. Also on the boat, people expect to see the band members and it’s all good. I think it’s more overwhelming how they get this thing floating. It’s huge! Afternoiz: Well I hope it stays floating (laughs)! Any of the other bands you are looking forward to seeing perform? Arien: Yeah, we’re curious for “Dead Cross”, Dave Lombardo’s new project. And for the rest, let’s see… Maybe a little bit of “Krisiun”. And I heard there’s a great band called “Bartender” (laughs)! Afternoiz: “Bartender”?!! I’ve seen “Bartender” perform already! It’s great, you must check it out! Arien: Yeah, I’m just gonna walk around and catch some bands, I haven’t decided which. 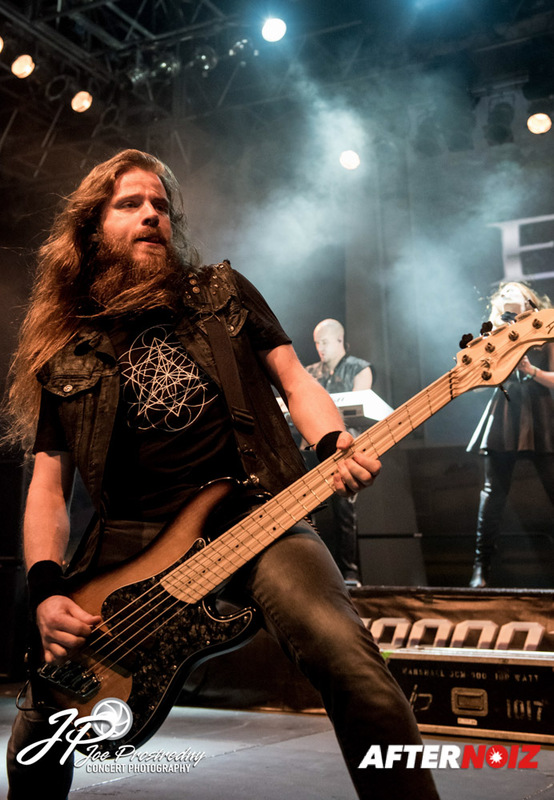 Coen: We have a lot of bands that we’ve toured with already, and I tried to watch a few of them yesterday: “DragonForce”, “Lacuna Coil”; the guys from “Insomnium”… we’re kinda friends from touring and it’s really great to see them. But they were on so late. 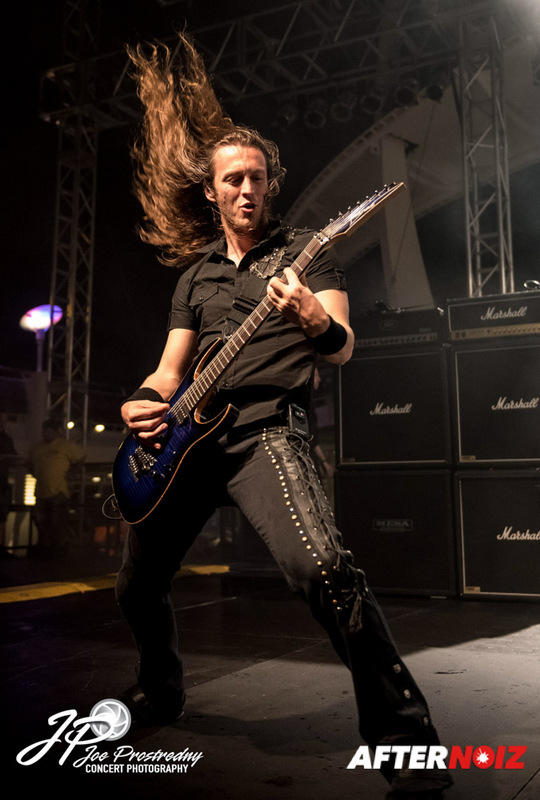 Afternoiz: Yeah I had thoughts of seeing Insomnium…. but Insomnia was not my problem last night, so I didn’t make it (laughs). Coen: I didn’t make it either. Arien: What was it, a 4 am show? Coen: Yeah. And then “Starkill’; you know we toured with them, we just finished a tour with them. They’re on the boat and they’re really heavy but they were on at 5 am! And I felt so sorry for them. Afternoiz: Yeah. I’ve seen Starkill before. Great band, but they don’t have a great schedule on this cruise. Both of their sets are in the early morning hours. I’m going to try to catch the next one, though! 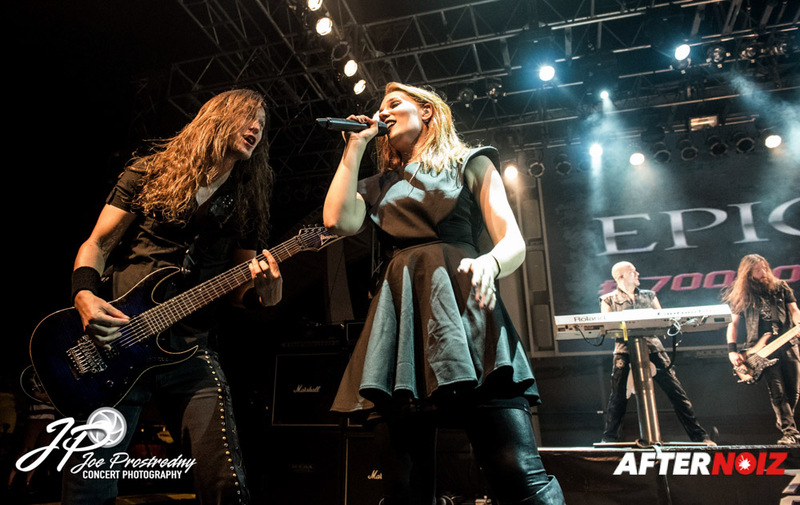 Now, a couple of years ago, I interviewed Epica ( Simone) right before the release of “Quantum Enigma”… a phenomenal album by the way! Arien and Coen: Thank you! Afternoiz: Now that I’m catching you at the end of the touring cycle. How do you feel that that album was received by the fans overall? I know Mark has said your previous album, “Requiem for the Indifferent” wasn’t as popular with fans as some of the earlier albums. Coen: No it wasn’t… That’s also the reason why we changed a little bit of the process and that’s why I think “Quantum Enigma” is such a great album. Afternoiz: Well I loved it! 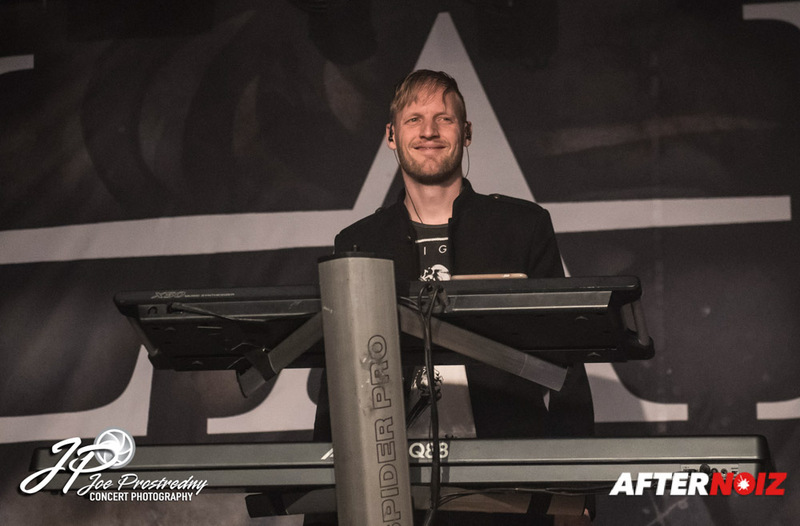 Coen: We went far better prepared into the studio and we jammed the songs which improved the songs a lot. 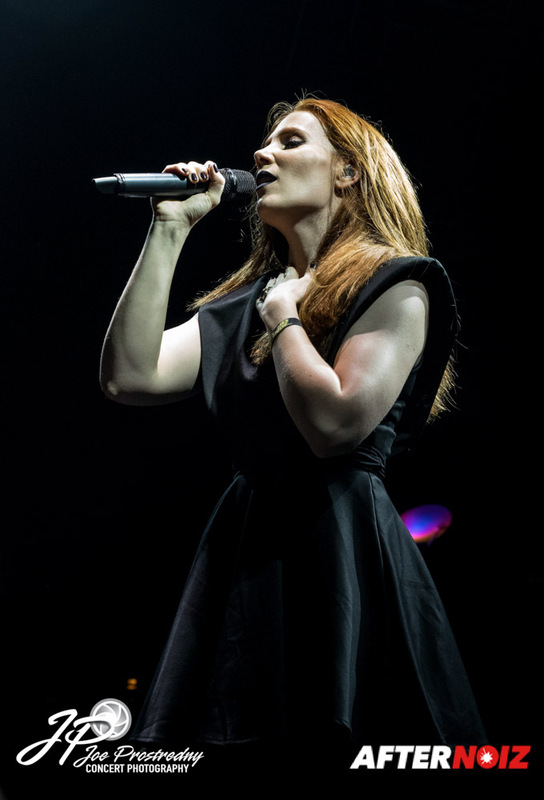 I think a lot of fans have that album as their favorite from Epica and I guess the new one, which is in production right now, is hopefully gonna top that (laughs). Afternoiz: Well we’re looking forward to it! I’ll ask you a couple questions about it in a minute. 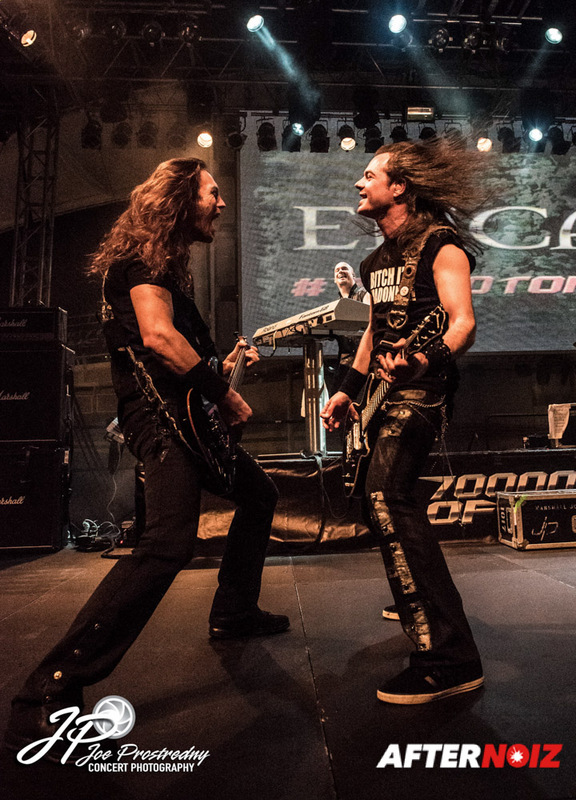 You just wrapped up your North American tour for “Quantum Enigma”. The tour actually started last fall and I was one of the lucky few that got to see it then. 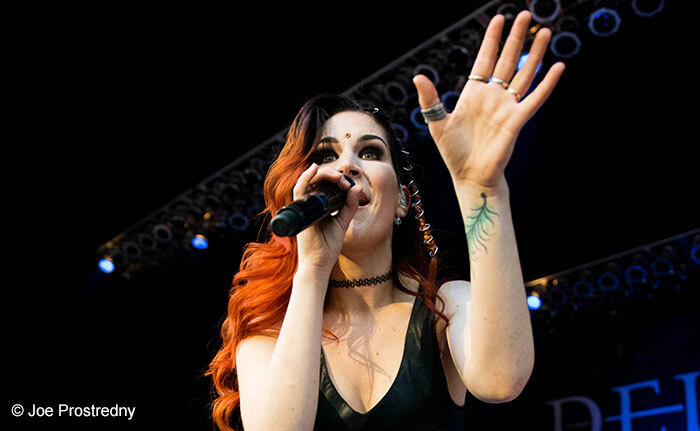 You [Coen] were out due to family issues and the tour ultimately had to be cancelled due to Simone’s family issues. Fans were obviously disappointed, but most people understand that family has to come first. Touring North America for a European band is a very expensive proposition; the travel, the visas. etc. Other than the emotional impact, what is it like for you guys having to cancel a tour and then try to put it back together? It has to be a big strain. Arien: The thing was, we were kind of in a predicament because we had to decide right on the spot what to do. So, we had an option… let’s wait until maybe Simone was able to come back on the tour and then we can finish it, depending on how the situation would be or would develop with her family. But it didn’t develop fast enough to make a decision, that decision, so we just ultimately had to say “ok, this is costing too much money because every day that we didn’t play we simply didn’t have any income”. So we have to come up with a plan B and try to redo the shows later on, and reschedule them. And fortunately we were able to combine it with the cruise and that’s what we did! People were very happy that we came back and they were totally supportive. So we made the right decision. Afternoiz: We’re glad to see everybody back and ready to go! Now, you guys have released a new album every 2 years, and you’ve mentioned that you’ve got a new one; is it done, or are you still working on it in the studio? Afternoiz: Is there anything you can tell us about the album yet, a concept, a name? Coen: It’s going to be a great album! 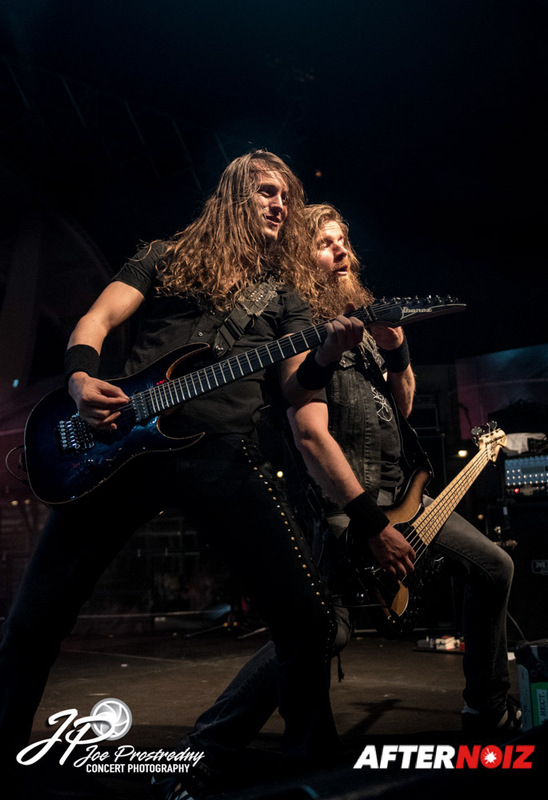 Arien: Heavy drums, great guitar riffs, and pounding bass, aw man, it’s gonna be awesome! 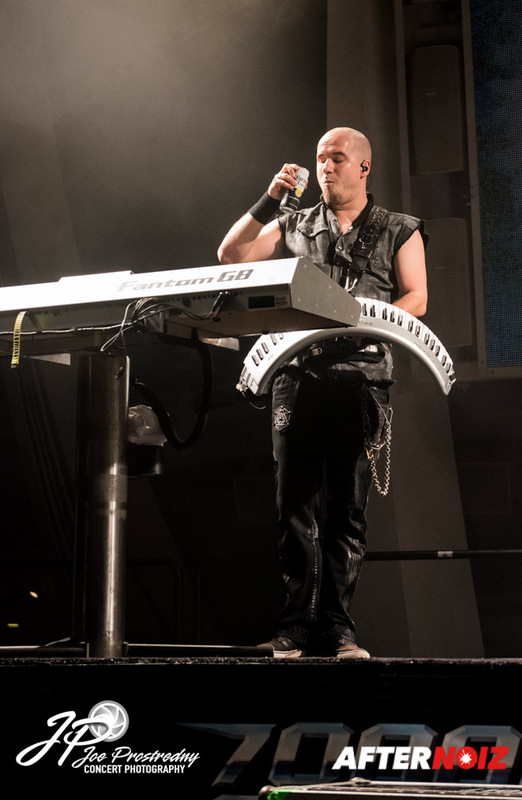 Afternoiz: Arien’s not saying anything about the keyboards though… (laughs). Coen: That’s because they’re not recorded yet (laughs). We’re gonna expand on the live instruments as well; do some real brass this time, and some real percussion. It’s gonna be huge! Afternoiz: It sounds incredible! Looking forward to it! Is there a release date yet? Coen: It’s gonna be fall, this year. Afternoiz: Does it have a name? Coen: It does… but it’s not out. Arien: TBA (to be announced). Coen: Maybe ask the “Bartender” tonight (laughs)! Afternoiz: After you guys have been there (laughs)! Yes! I’ll put it on my “to do” list! There are a lot of facets to being a musician in a band and the big two are the creation and the performance. Which do you enjoy more? Coen: For me I like the performance part best. 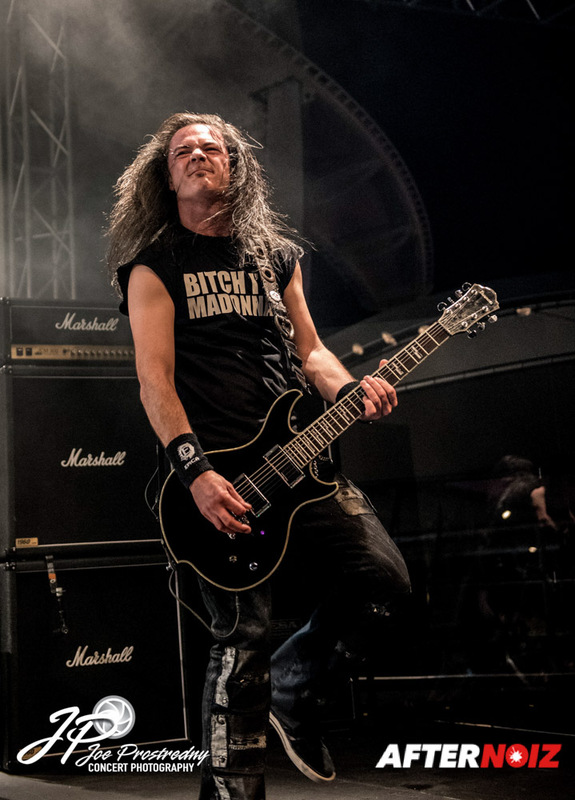 Coen: Being on stage and acting weird, interacting with the fans, great. I just love it. 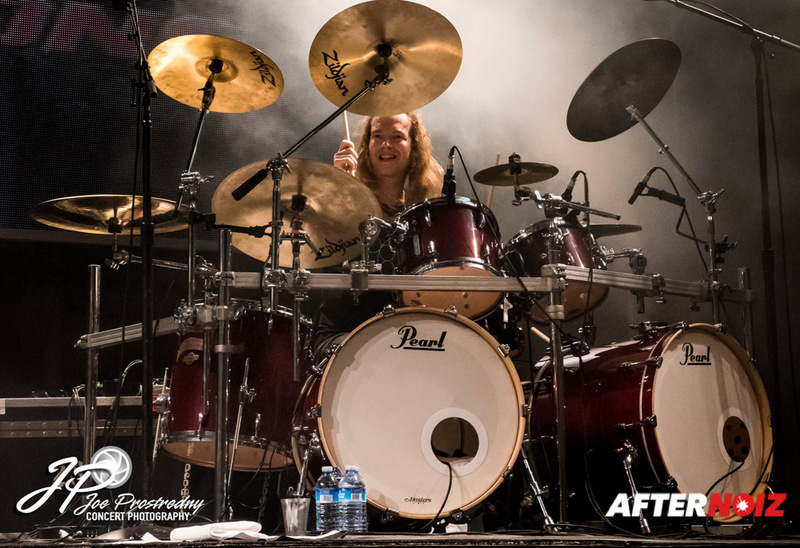 Arien: Sometimes I feel a bit stuck behind the drum kit because I see the other guys running around and going totally nuts and I have to play, I’m stuck on the pedals and the sticks. 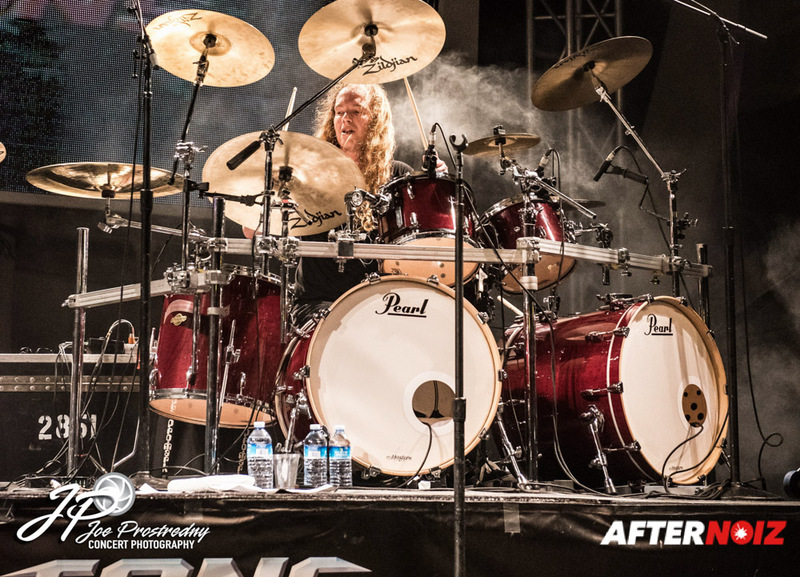 I try to make funny faces when I can, but focus on the drums and release some good energy! It’s always a good vibe after we finish a show, it’s like ah, alright, we did something today! Afternoiz: Well, we’ll see you do it tonight! Arien and Coen: Yes, yes! 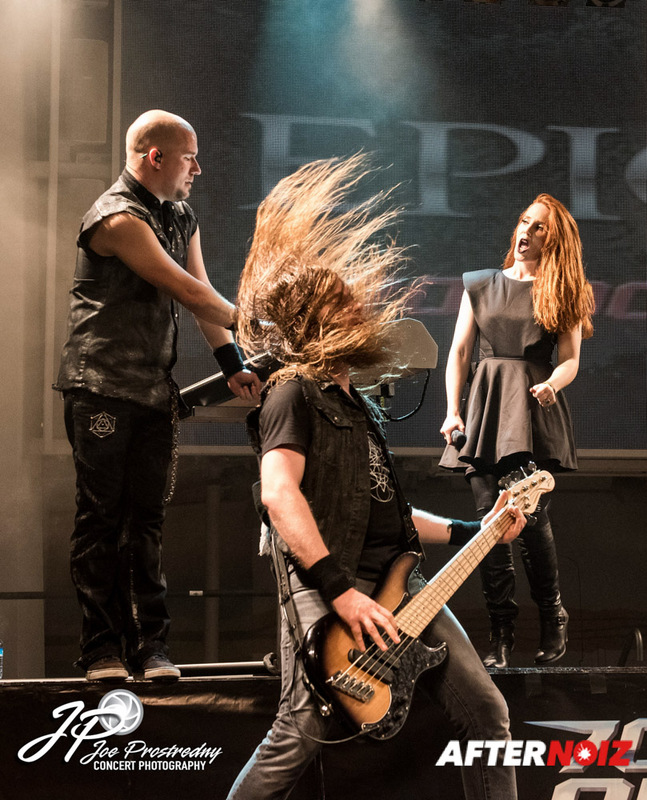 Afternoiz: Now, Epica has been around for 13-14 years and you’re a very popular band with the fans. Did you expect this level of success? Coen: No, never. Well, you aim for it but you can never hope to dream that it’s this big eventually. Arien: I remember that in 2007 we just had our first headlining tour in the US and I wasn’t even in the band officially. Coen: Yeah, you were filling in. 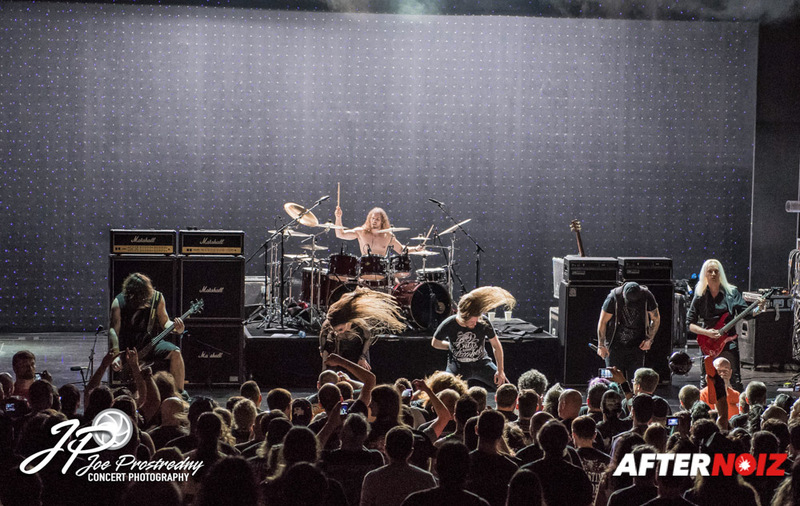 Arien: We were playing very small clubs and in Nashville, I think it was… fifty people? It was all starting up. Coen: Fifty people and bunch of cockroaches (laughs)! Afternoiz: Did the cockroaches like it? Coen: (laughing) Well they stuck around! Arien: Ever since then it’s been growing… and a lot more fans… and with every album the success increases and the fan base increases and “Wow”! Something is really happening here in the states and we hope it stays excellent. Afternoiz: Well, we love you guys over here! And in Europe too! There is a lot that goes into being successful. There’s obvious things: talent, hard work, dedication. But in the music industry, there also has to be a degree of luck, being in the right place at the right time, striking the right chord with the right people. 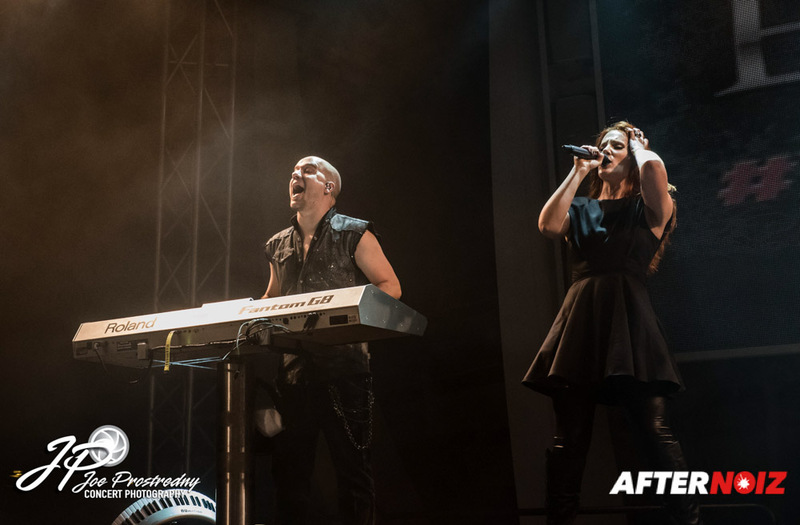 Have you ever thought about where you would be and what you would be doing if Epica didn’t “make it”? 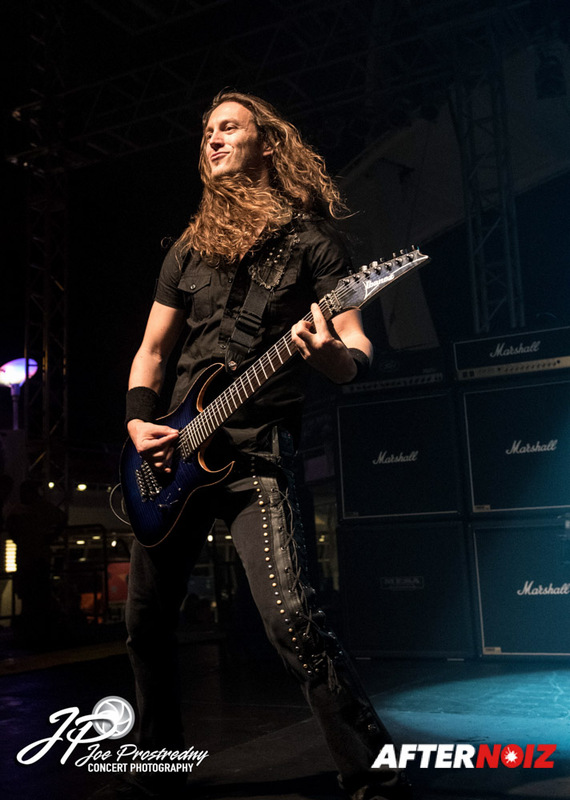 Arien: I think I would still be playing in “God Dethroned”… my former band. I think I would still be making music. I don’t think I would be having a normal, regular 9-5 job. So I would still be playing music, somehow, somewhere. Coen: Me too. 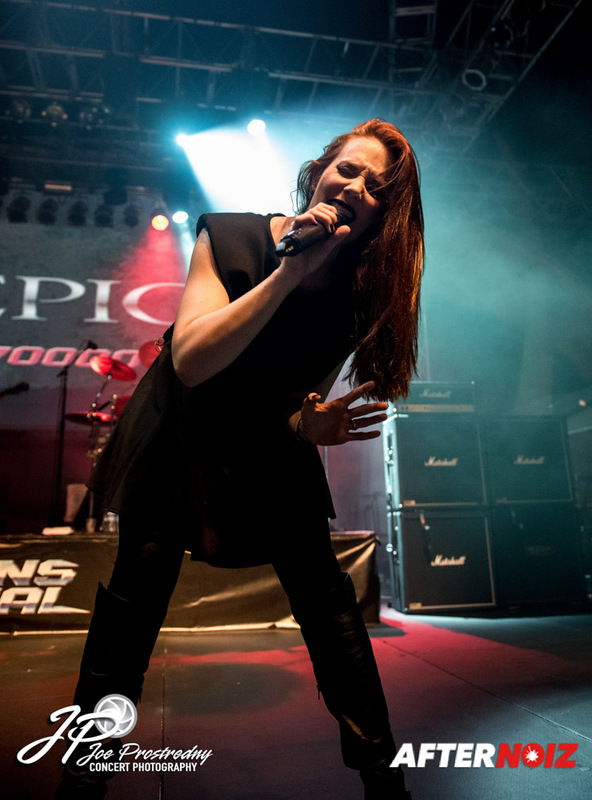 Almost everybody in Epica studied music, so I’d probably be a piano teacher or something boring (laughs). Coen: He’ll probably be doing it when he’s 80! Arien: If I don’t have too many broken bones or sore limbs. Arien: Or liver, yeah, almost forgot (laughs)! Afternoiz: Well maybe you shouldn’t go see “Bartender” then (Laughs). Arien: Oh, definitely! Also maybe I’ll do a little liver test later this year. I think that might be a good thing. Coen: You know when you start out and you’re in your twenties you think: “oh if you’re thirty or so old you cannot do this anymore”. But, we’re in our mid-thirties now and we still feel the same, so we think: “well why not go on until fifty or something”. Afternoiz: Using one word, and one word only for each, describe your band mates. Coen: Arien is the Beast. That’s two words, but he is a Beast (laughs). Arien: Coen is Charismatic (laughs). Arien: Yeah, he’ll understand why. Arien: Simone… Gorgeous. Isaac is Wine, he loves red wine. And Rob is Tough (laughs). 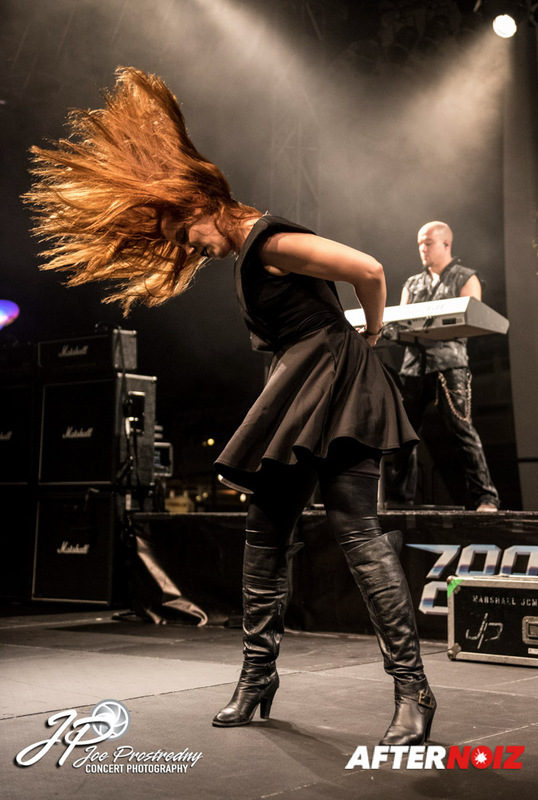 Afternoiz: Speaking of gorgeous, Simone is back on Revolver magazine’s “Hottest Chicks in Metal”…again! The whole “Hottest Chicks” thing, it’s been around for a while and after all these years there is still a lot of controversy. Some people like it… They say it’s great publicity for the bands, and “Any publicity can be good publicity”. And other people have said it objectifies women and it doesn’t really put the focus where it belongs, on the music. What do you guys feel? Coen: I think the one cannot live without the other. 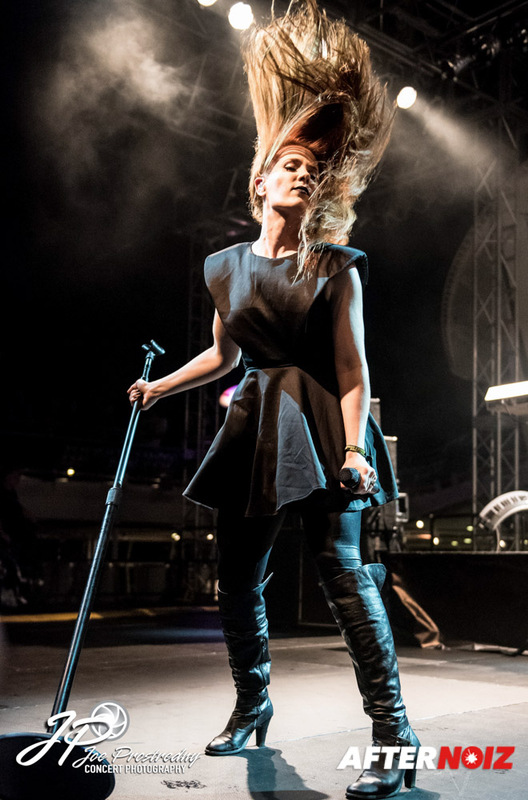 People want to see beautiful women and they make a thing out of it if it’s in metal or if it’s in some other music. “Oh, it’s a nice thing, girls being in a band and being a musician”. They immediately think, “Oh it’s a girl in a band so it must be something special”. There’s difference in the sexes, and I don’t know why, it is there, it’s everywhere. Coen: But of course… and you cannot do it without the talent and without the hard work, but you can try to be as beautiful as possible. Arien: Yeah, but [the beauty] is gonna expire, you can’t do it just on looks, people are gonna see through it eventually. 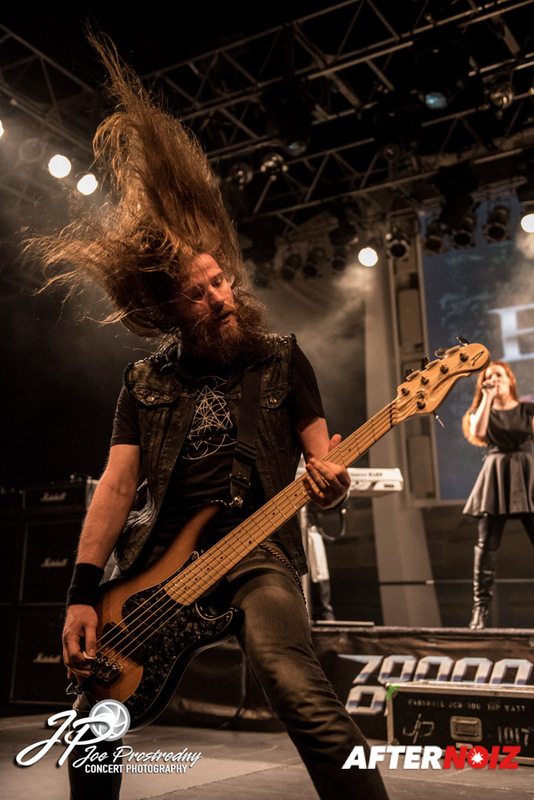 Coen: And that’s not only for Epica, but also for Arch Enemy, Delain and other bands as well. Afternoiz: …because your manager is standing outside that door worried that you guys haven’t eaten breakfast yet. And I think you [Coen] were asking for beer for breakfast! Afternoiz: Is there anything else you’d like to say to your fans before we leave you? Coen: Thanks for sticking by us all those years, because without the fans it’s not possible. It’s as simple as that. And also because we had two US tours cancelled and still people had faith in us and came back to see the show and have a good time! It’s really great and we really appreciate it! Arien: Yeah, thanks for the massive support! Awesome! You guys make it possible!